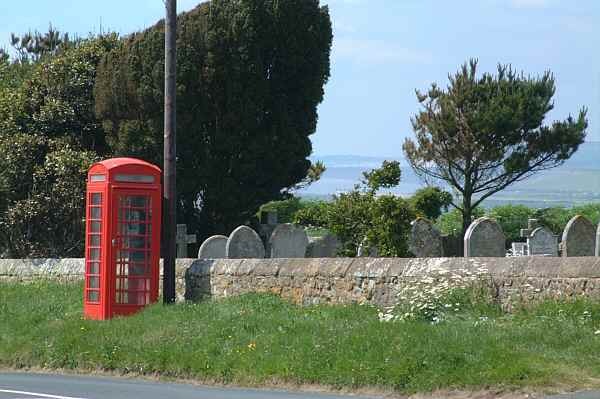 This phone box basks in the sunshine of this tranquil location outside Chale Church in May 2001. Another view at Chale with the coastline to the Needles in the background. 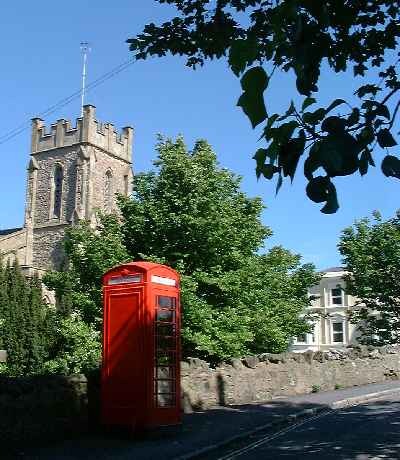 A telephone kiosk, illuminated by the afternoon sun in Ventnor (early 1990s). The same scene a decade later. 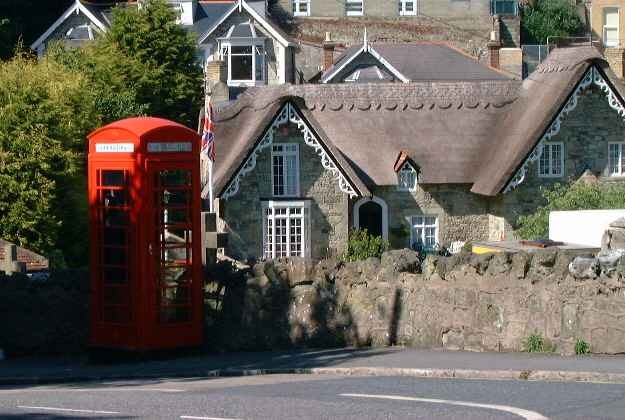 Ventnor Library and Lansdown Arms. This spring scene was shot from the Rare Breeds centre near St Lawrence. 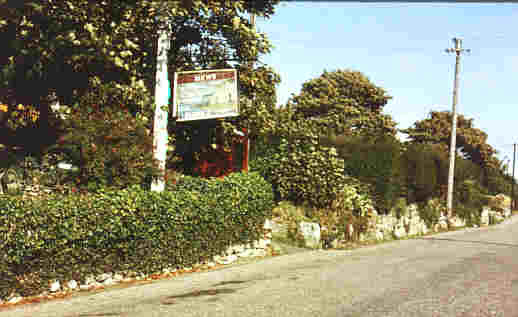 This phone box was hidden behind the foliage outside the Buddle Inn (1990); a popular pub near to St Catherine's lighthouse. 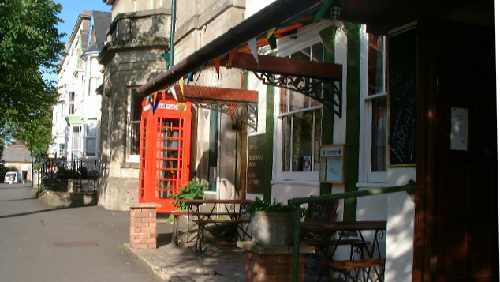 Marconi stayed near here when experimenting with transatlantic telecommunications. Visit the Undercliff gallery for more information. 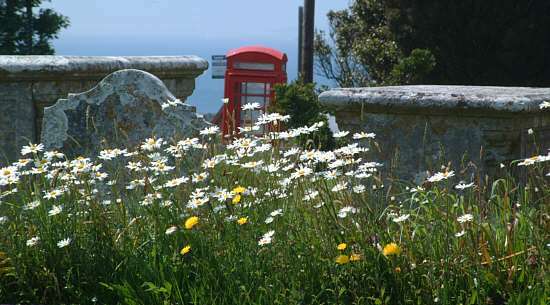 The phonebox has since been replaced. 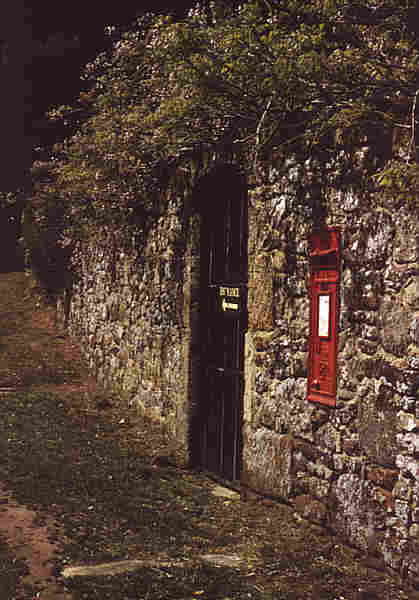 This attractive post box is located in an old wall outside Mottistone Manor. 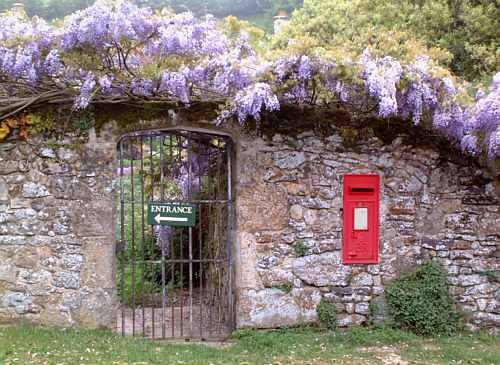 In May, Wisteria adorns the wall.